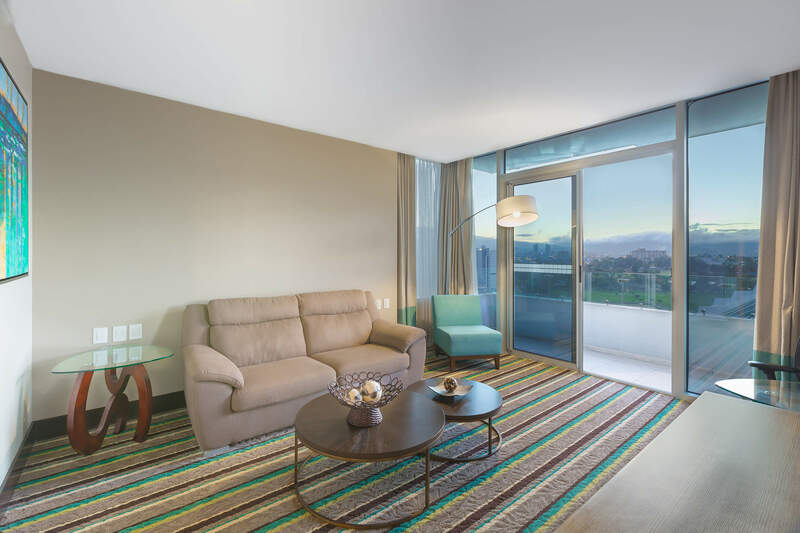 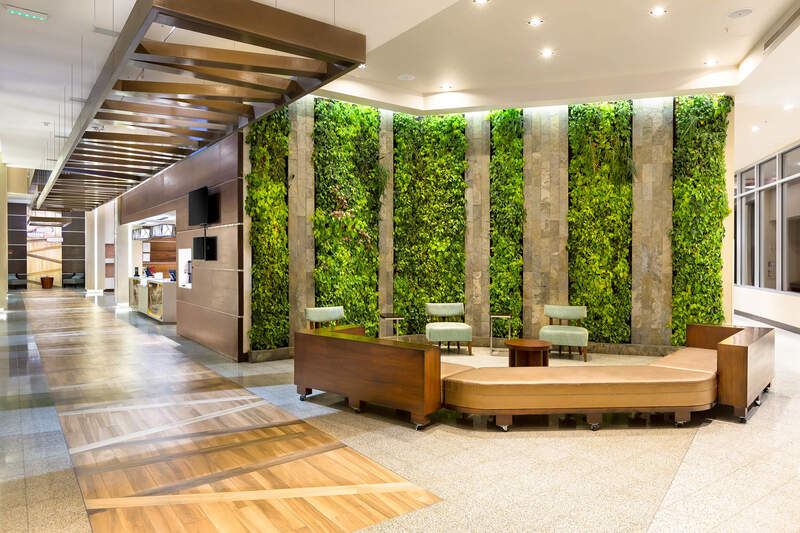 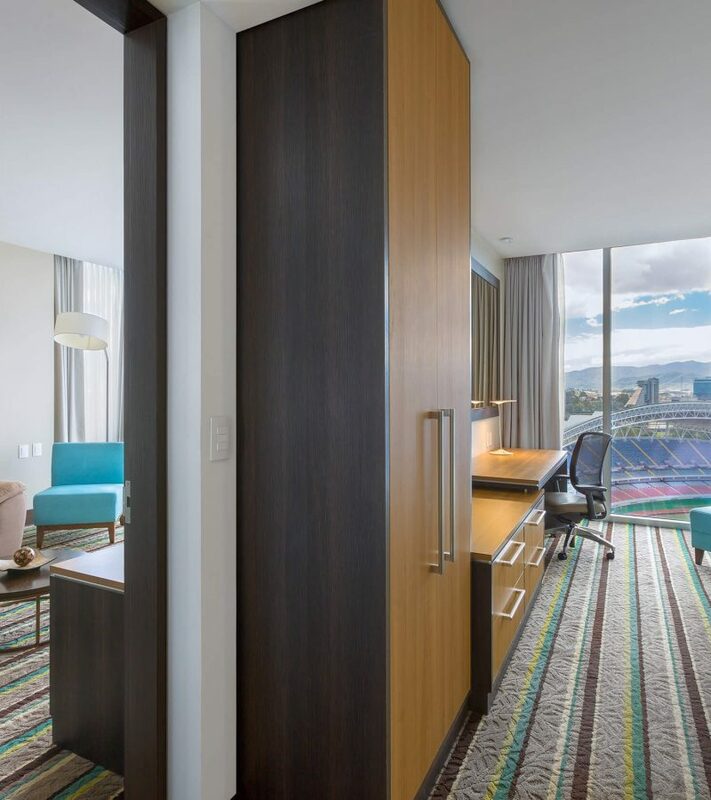 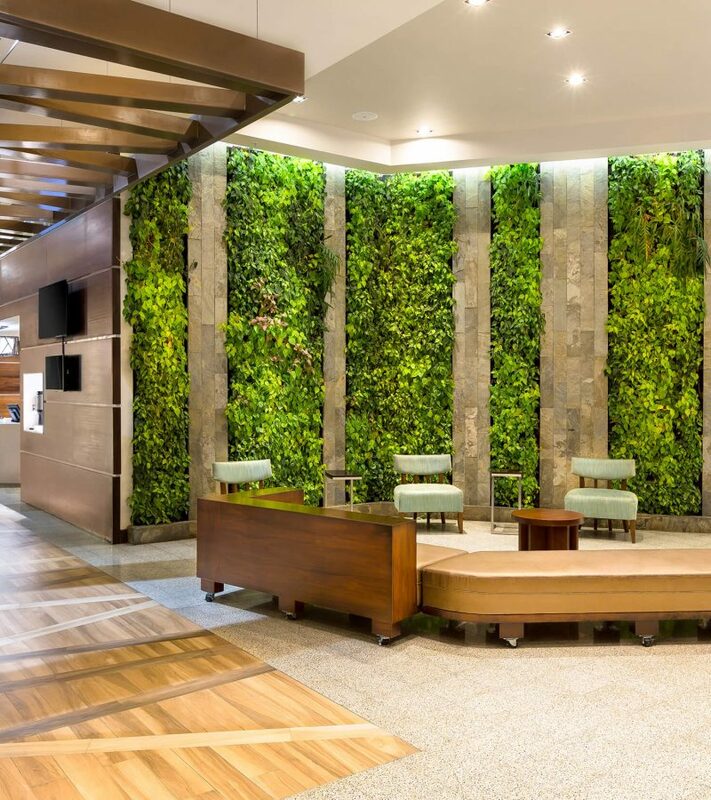 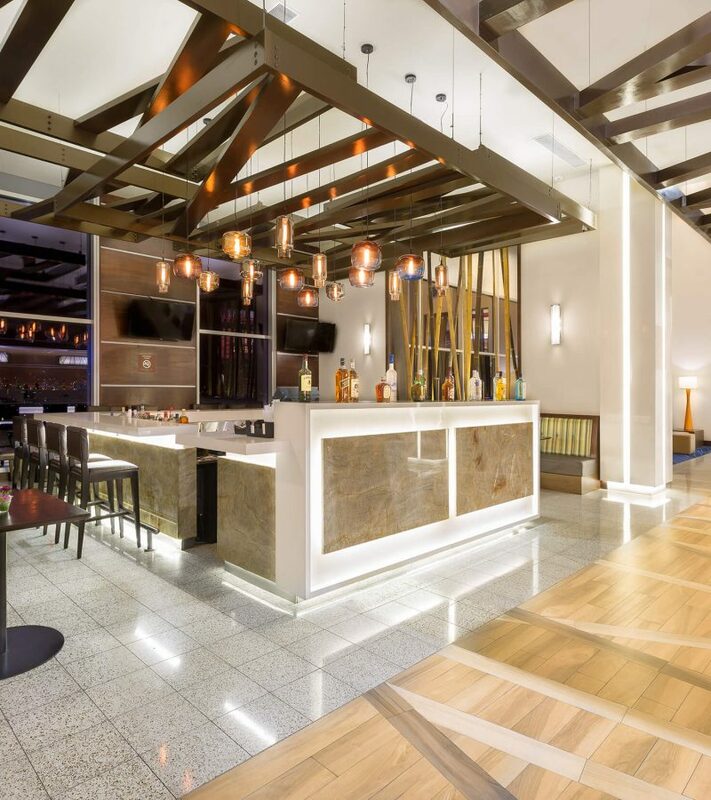 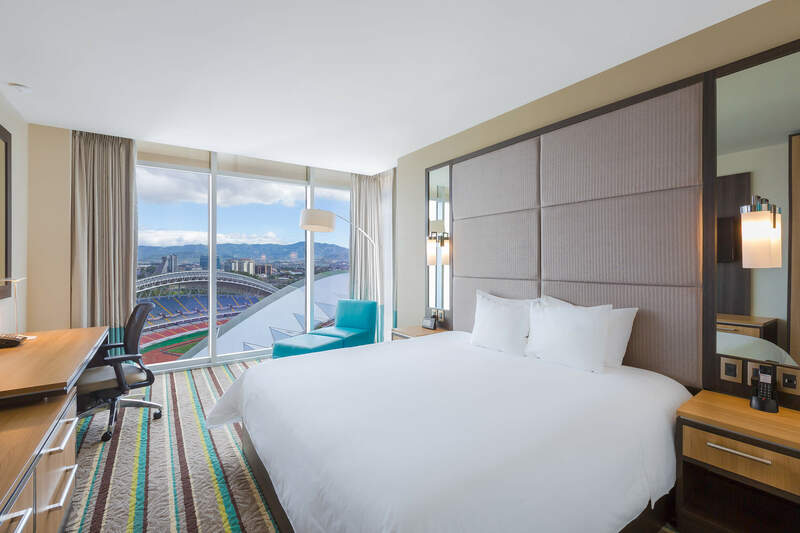 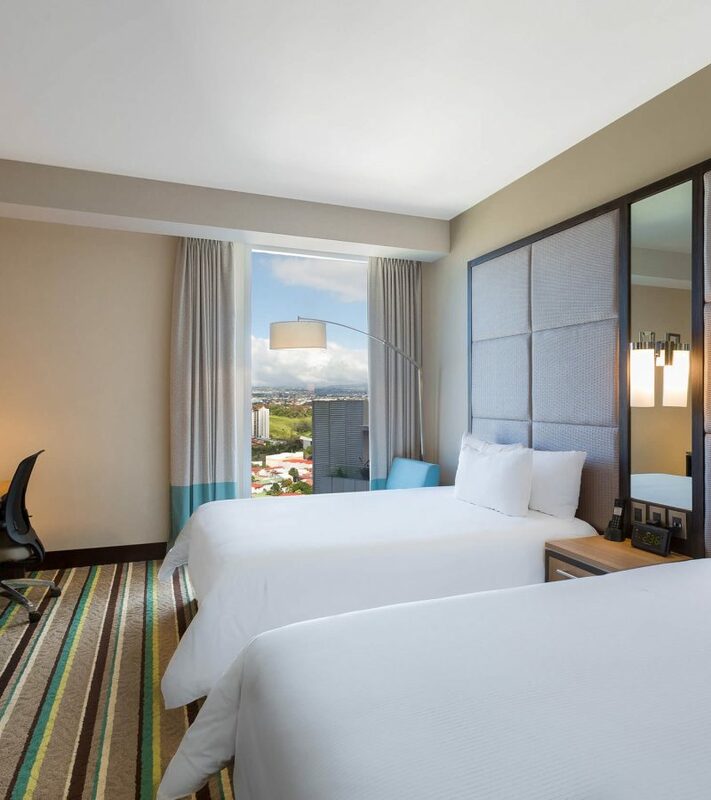 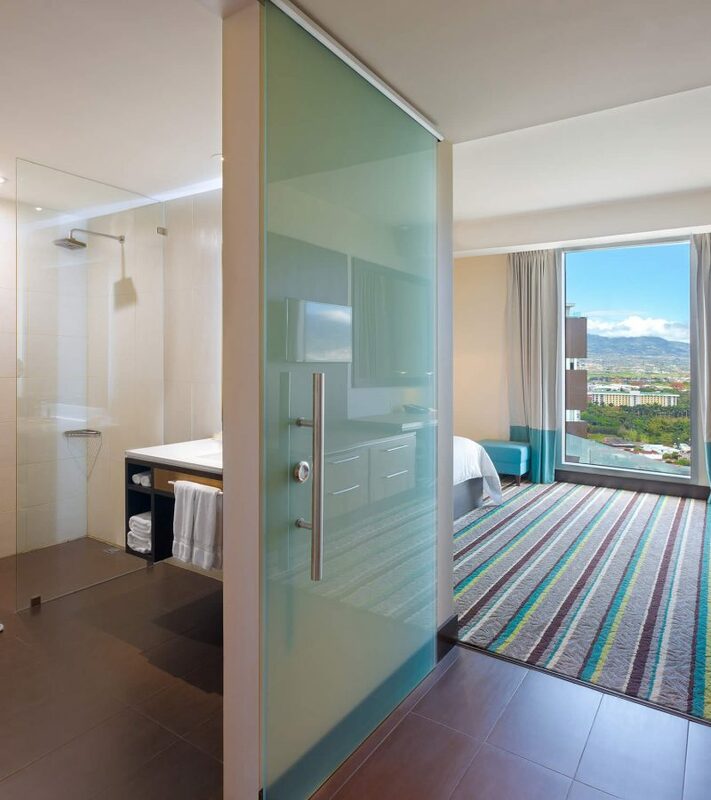 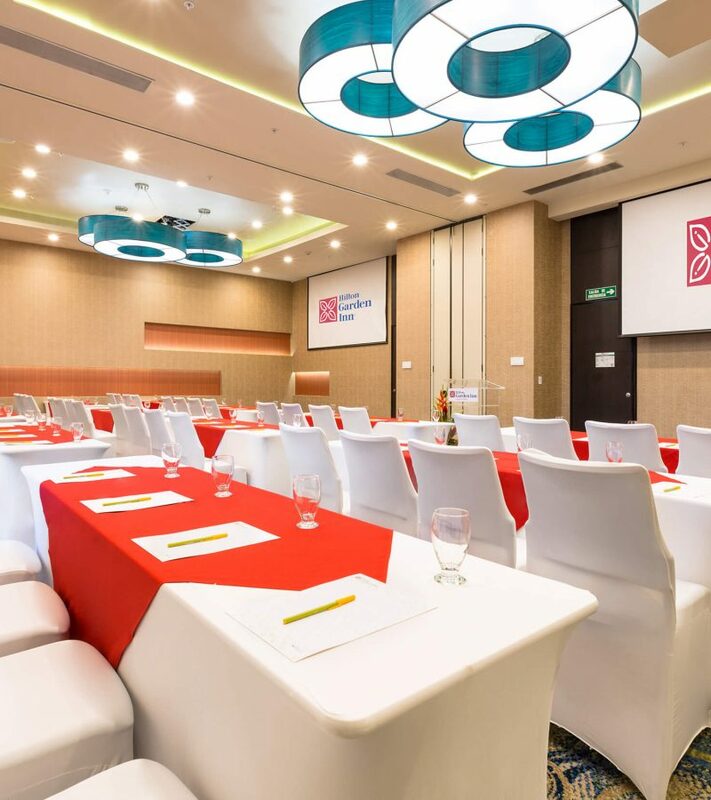 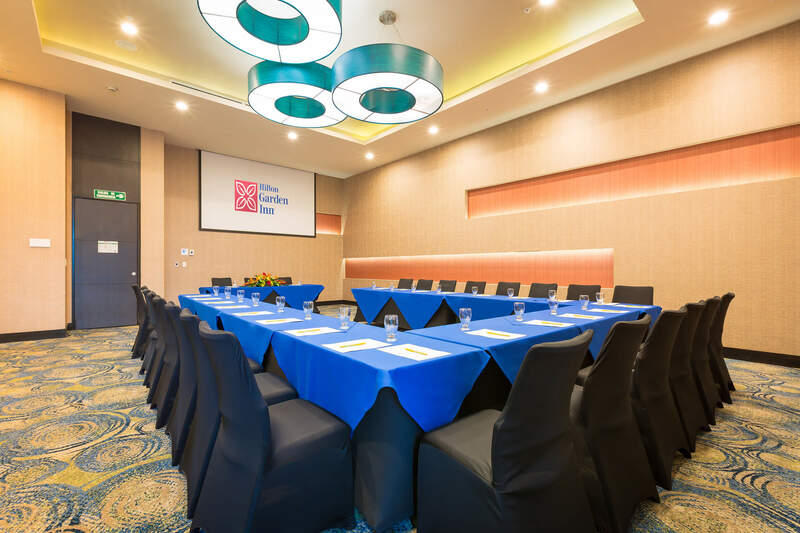 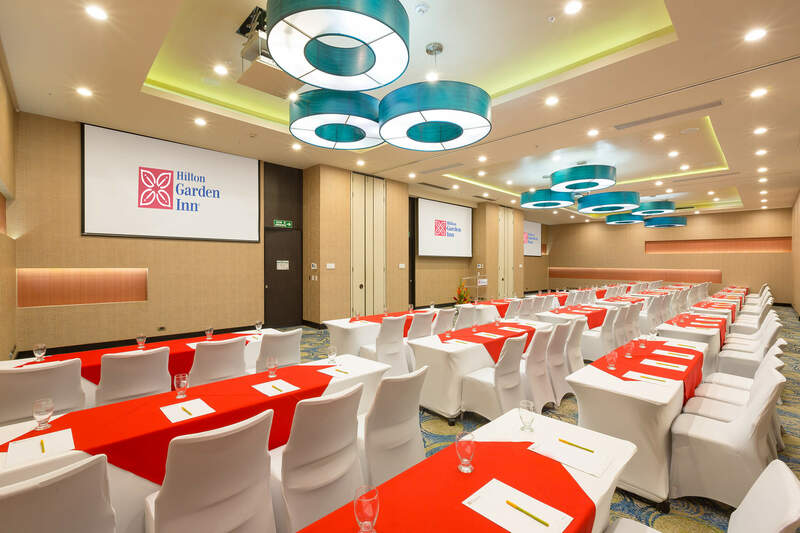 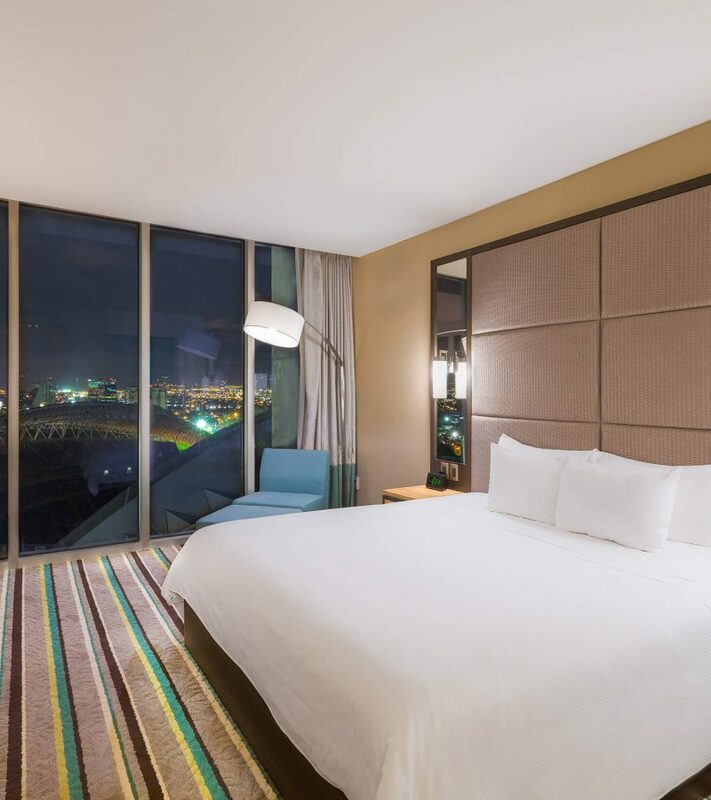 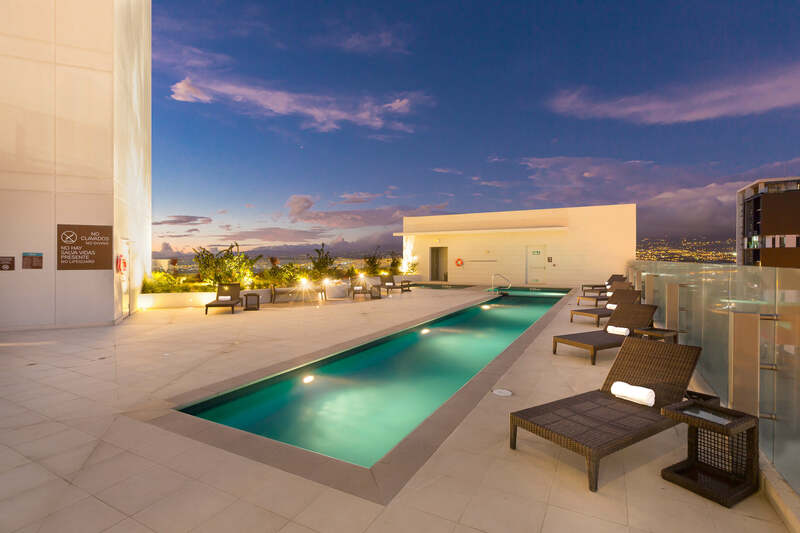 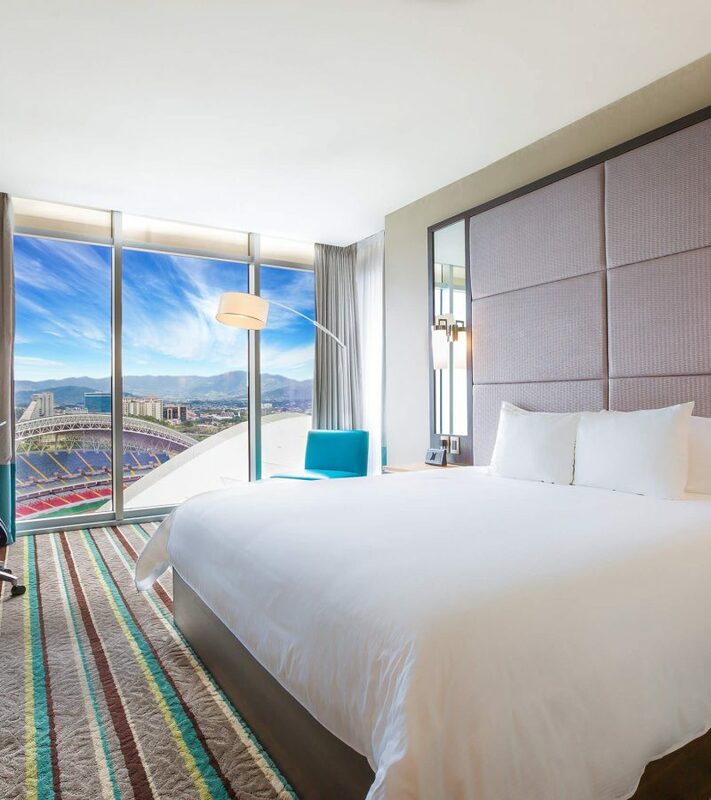 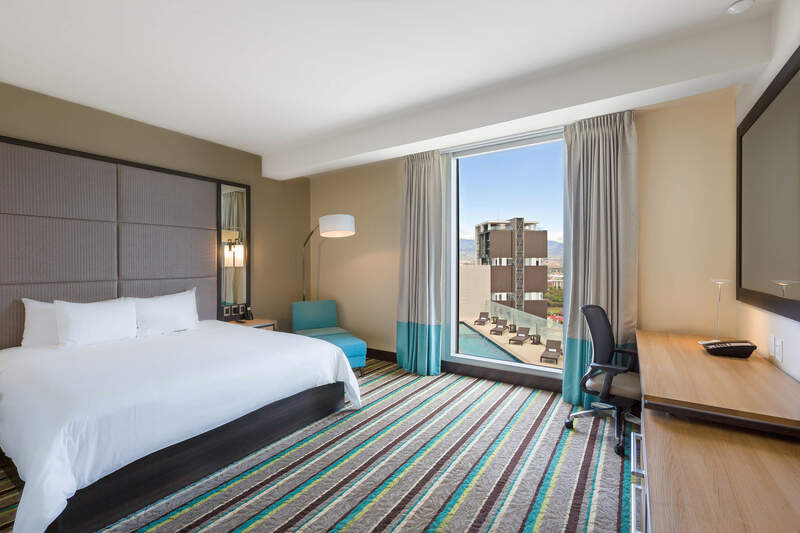 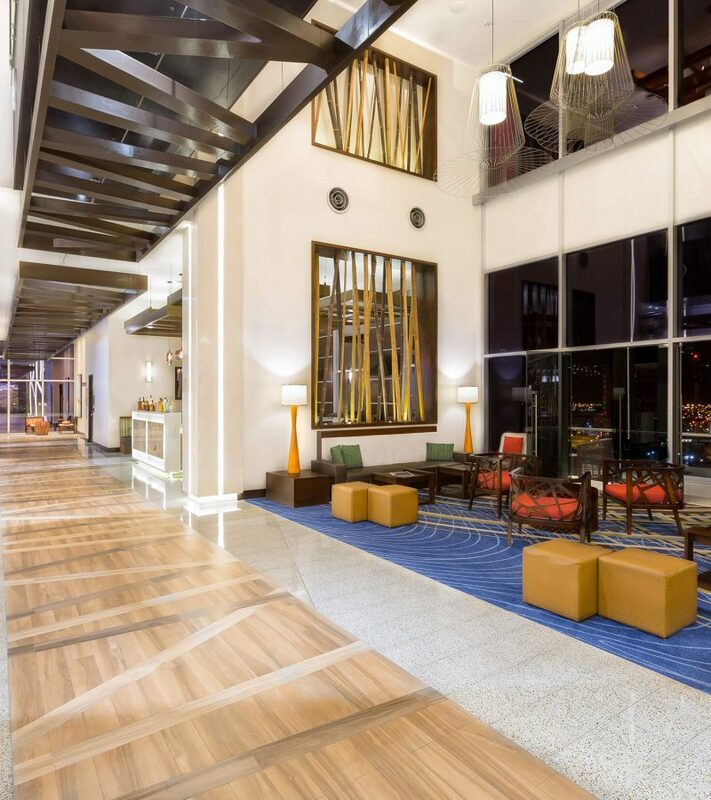 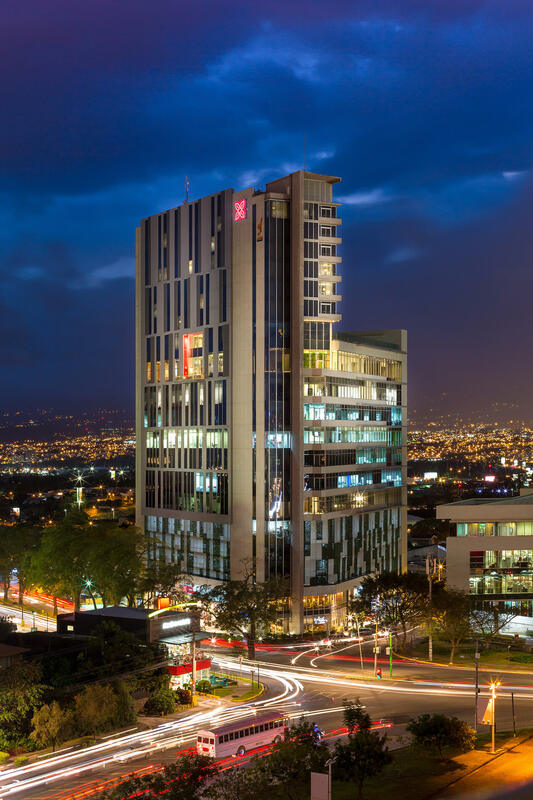 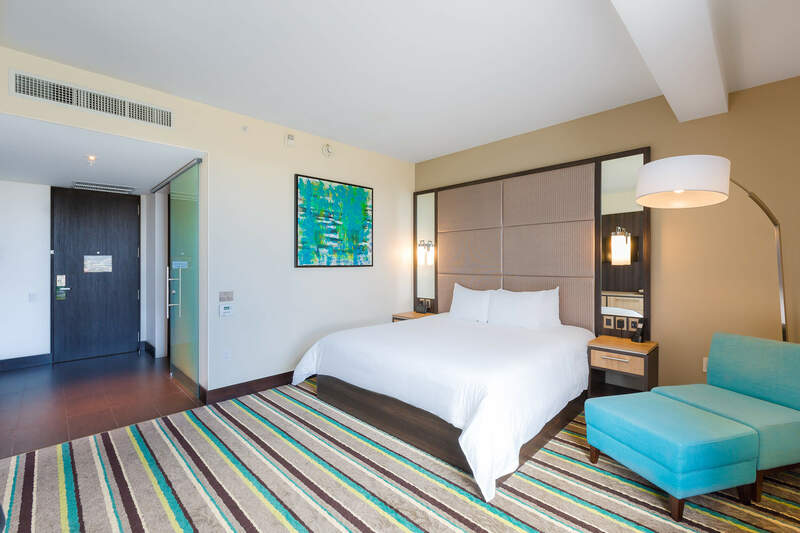 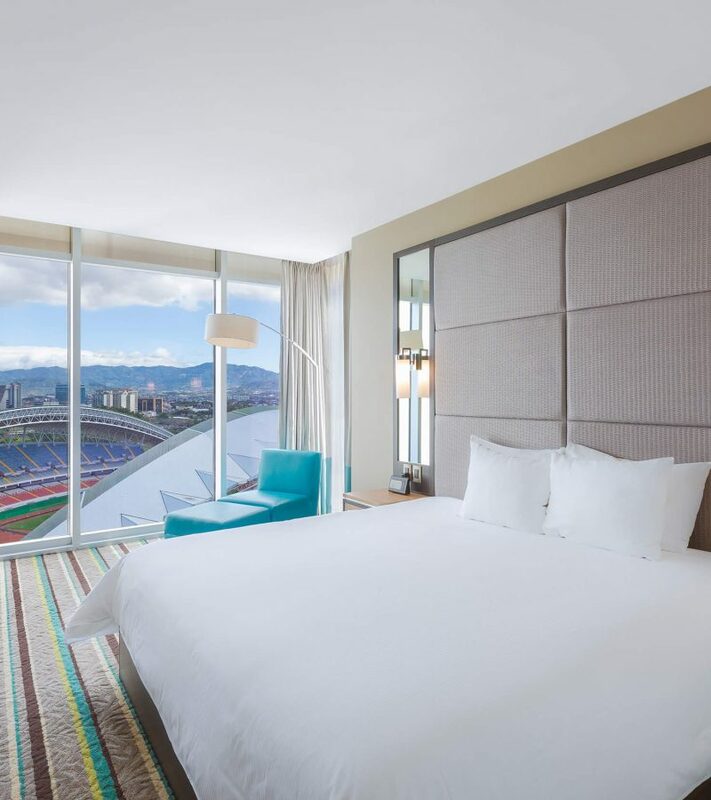 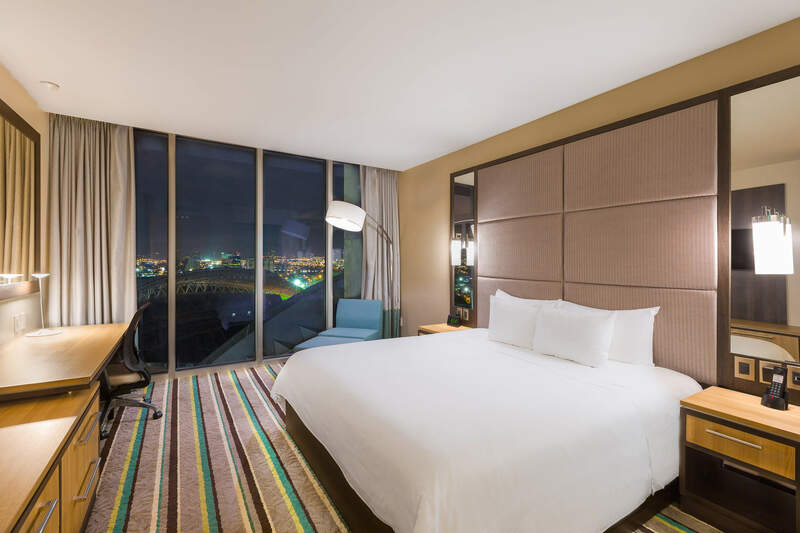 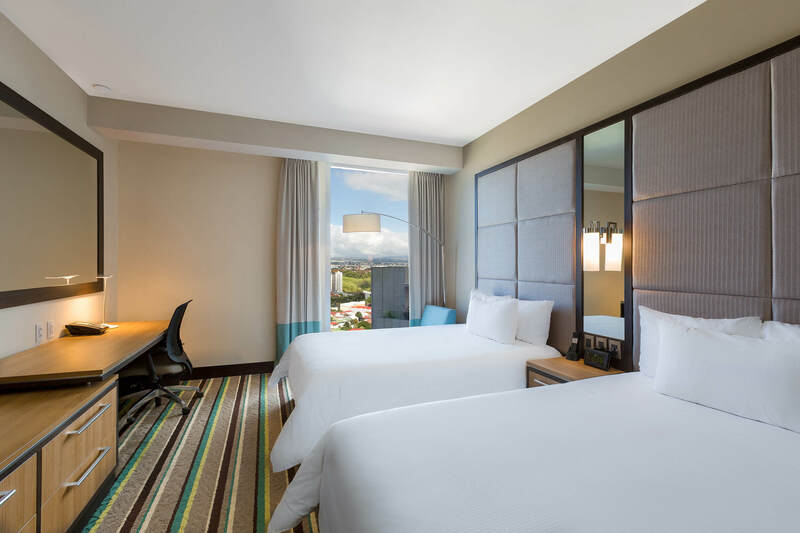 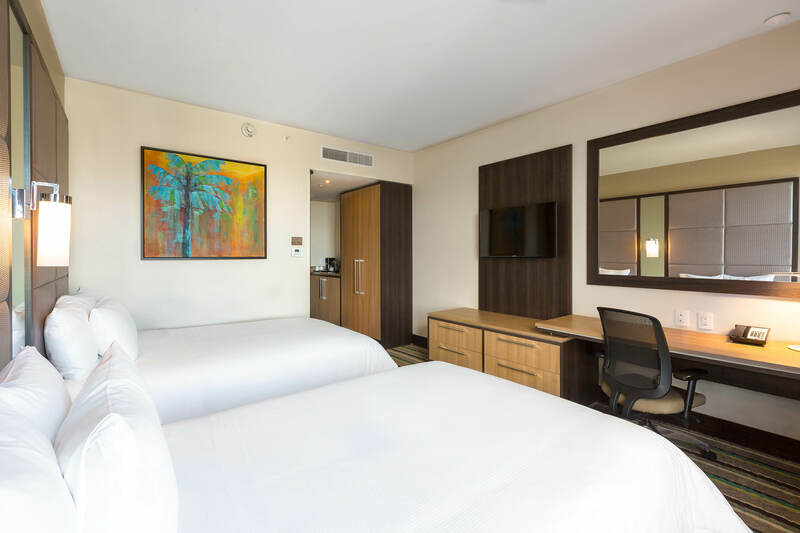 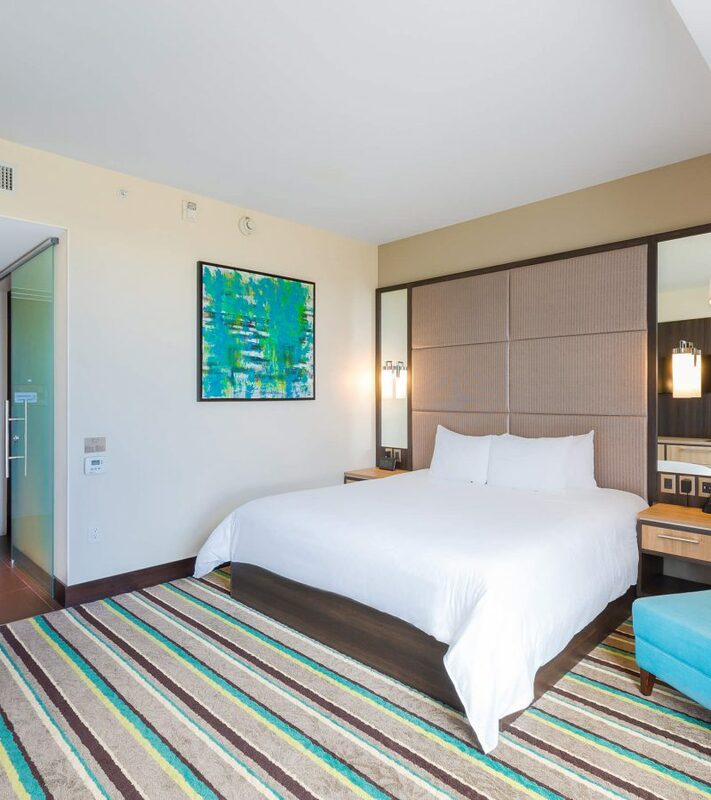 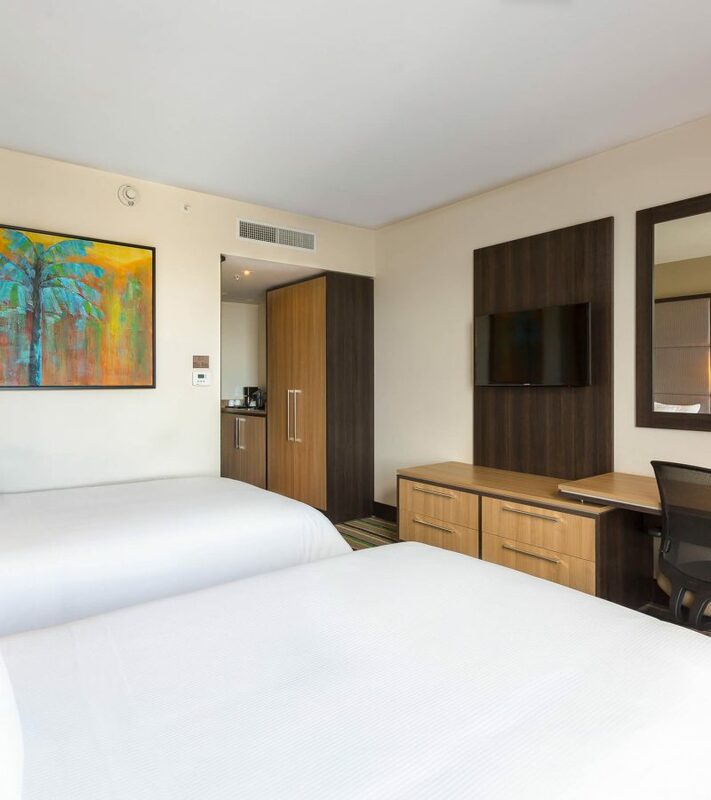 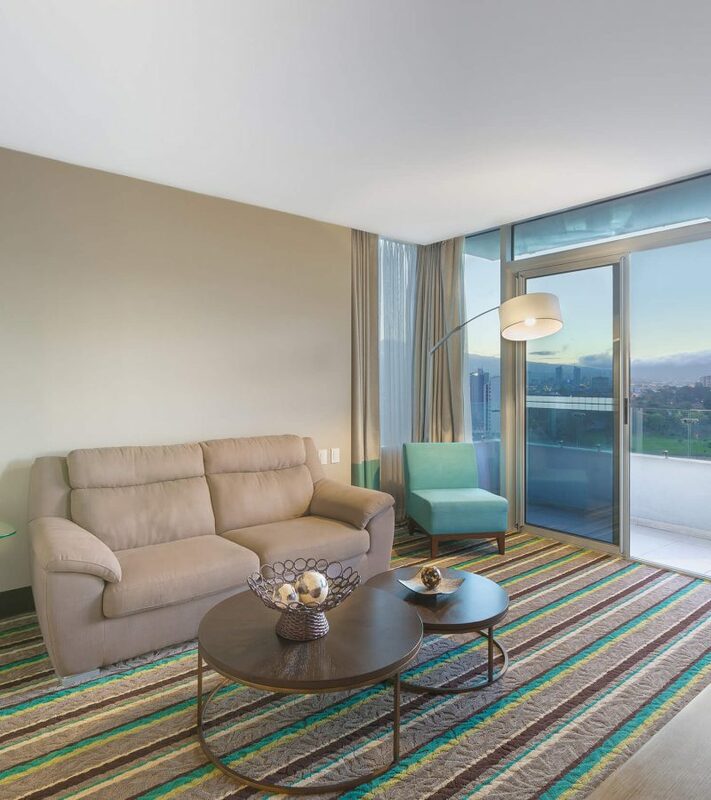 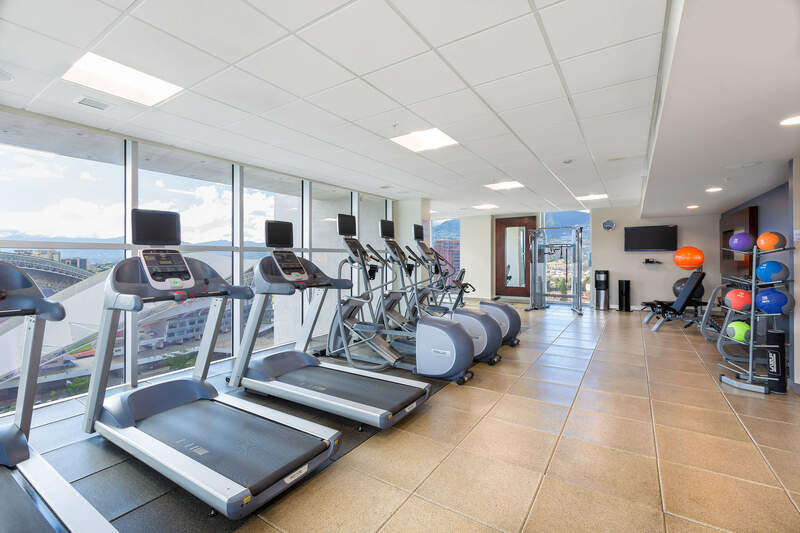 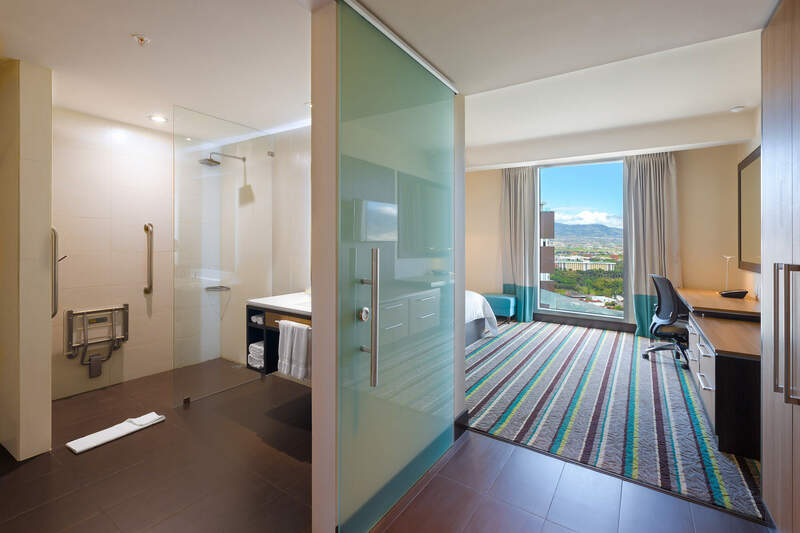 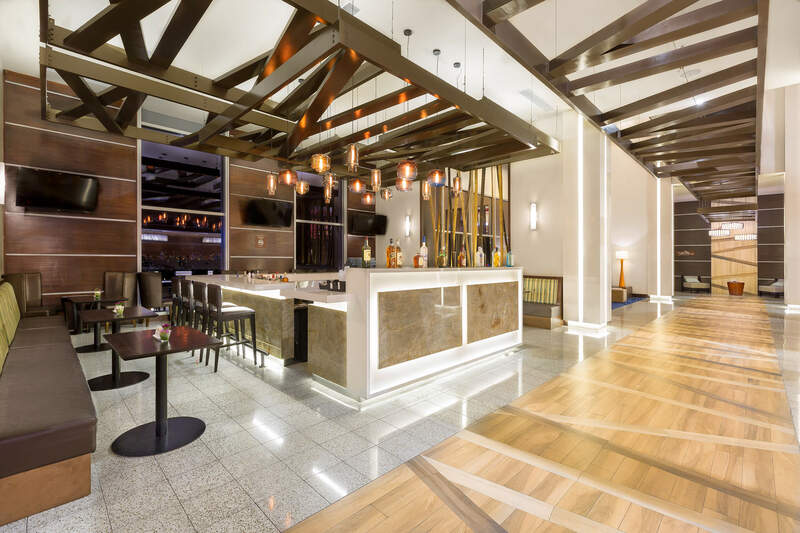 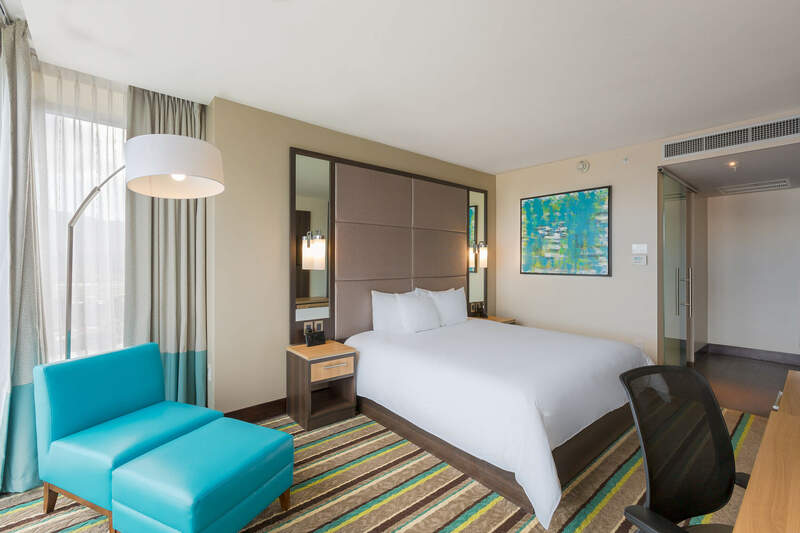 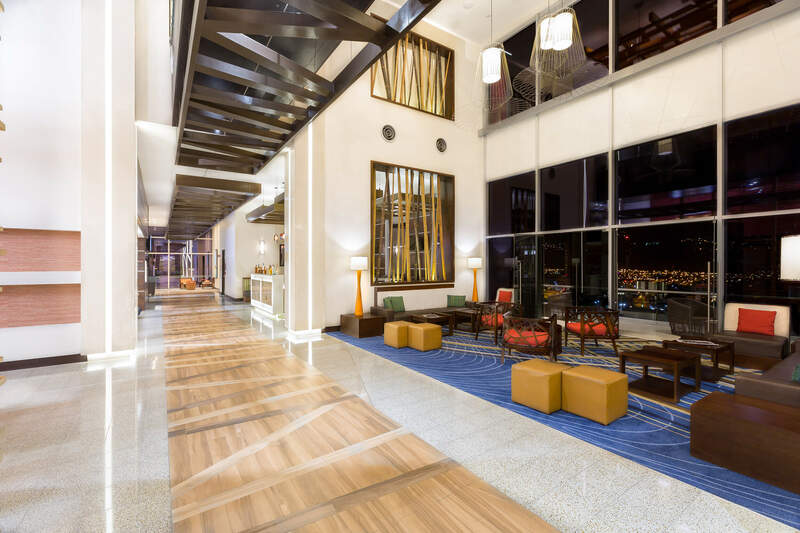 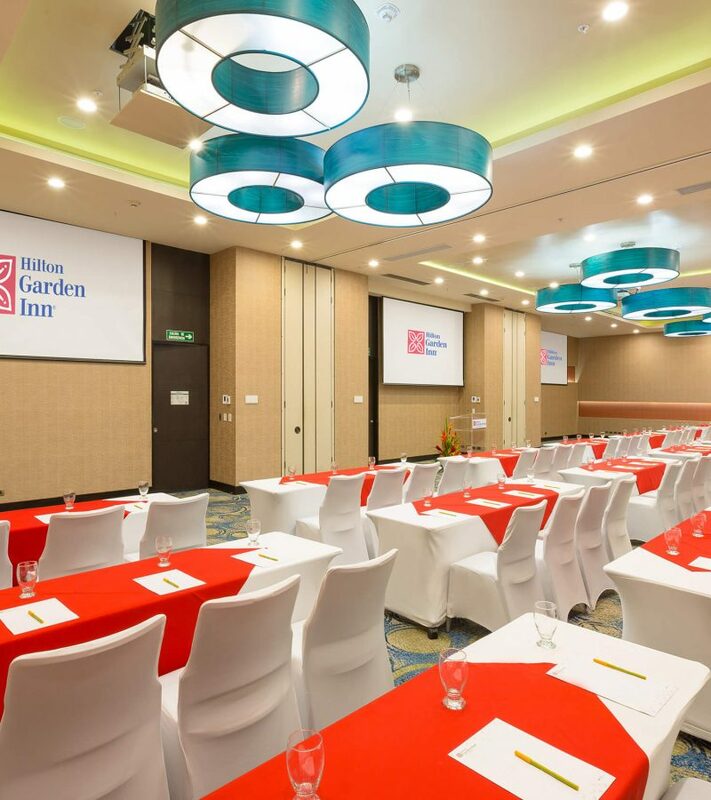 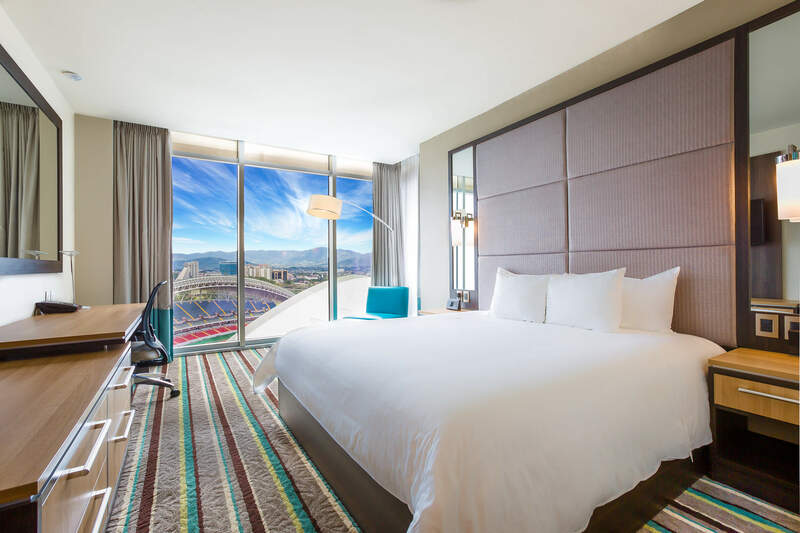 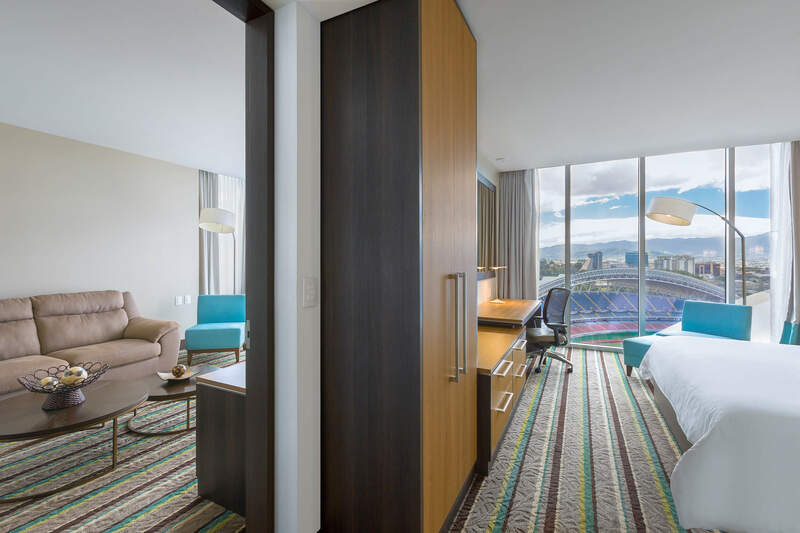 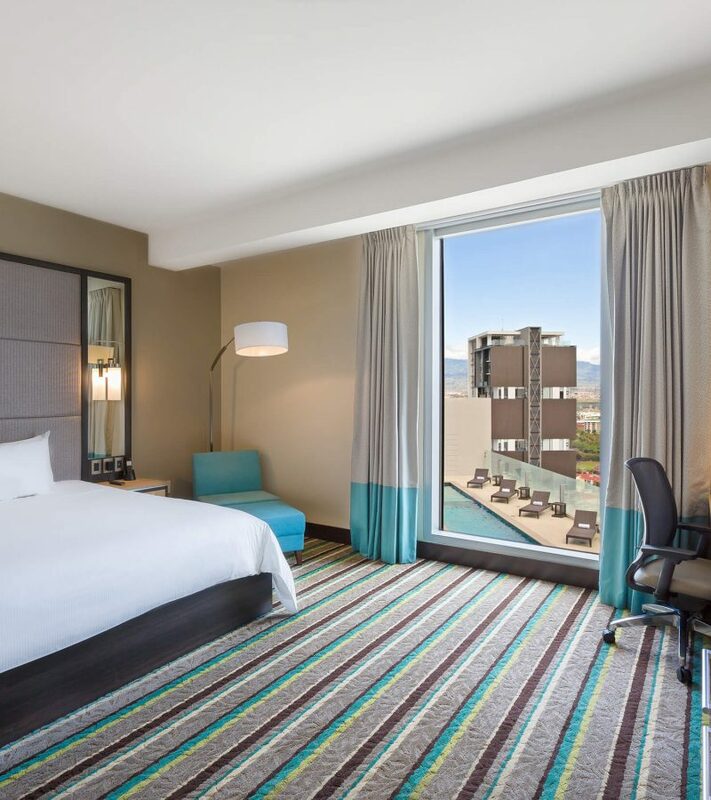 Within the Sabana Business Center ─ a 20-story mixed-use complex in the business and entertainment district─ Hilton Garden Inn San Jose La Sabana offers 115 beautiful rooms and suites from the 13th – 20th floor. 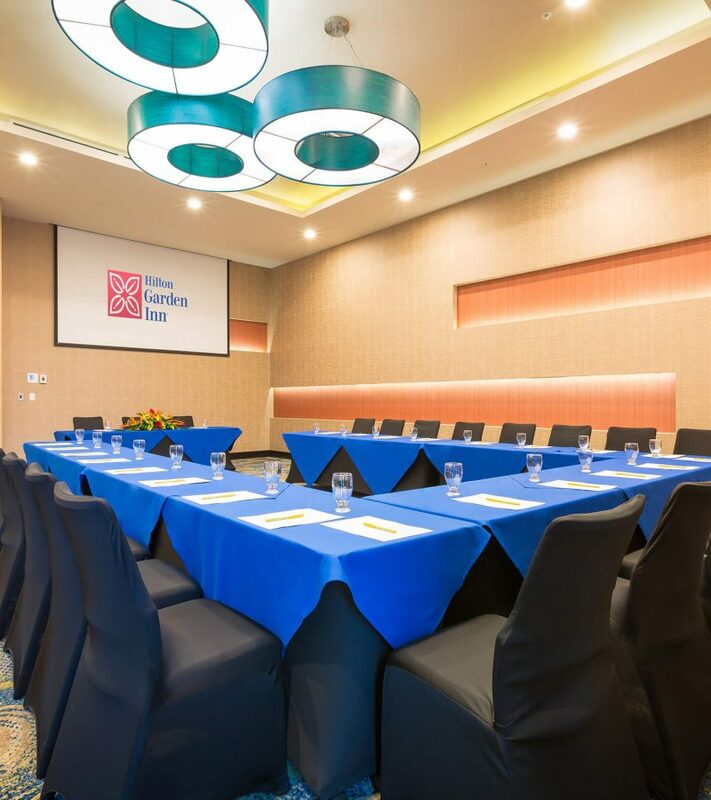 Our hotel is near embassies, local businesses and multinational companies. 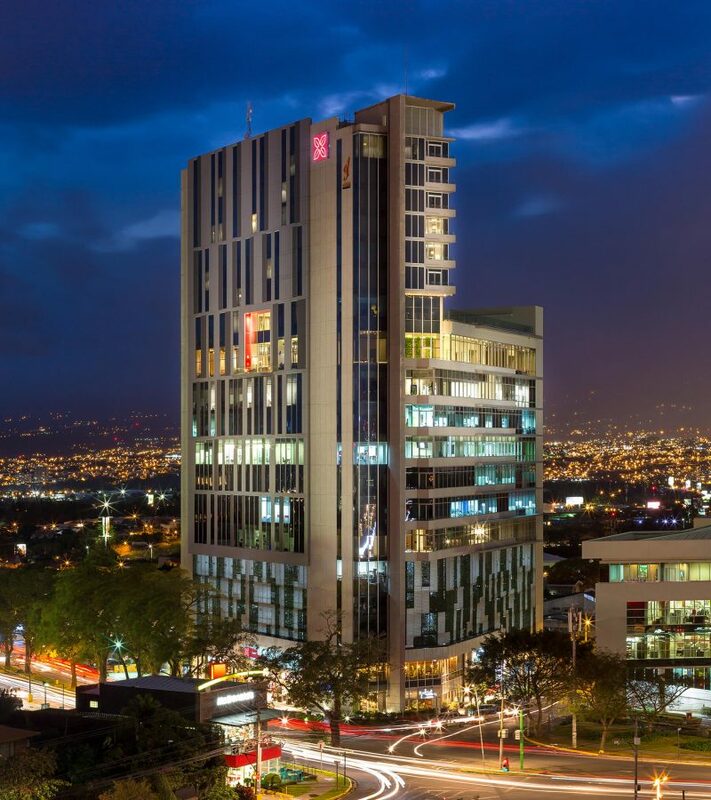 The beautiful urban sanctuary of La Sabana Metropolitan Park and the national stadium are just across from the hotel. 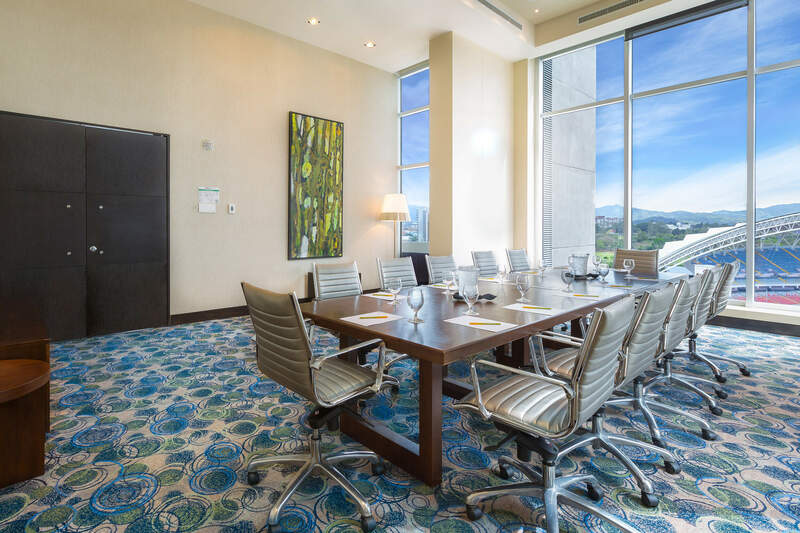 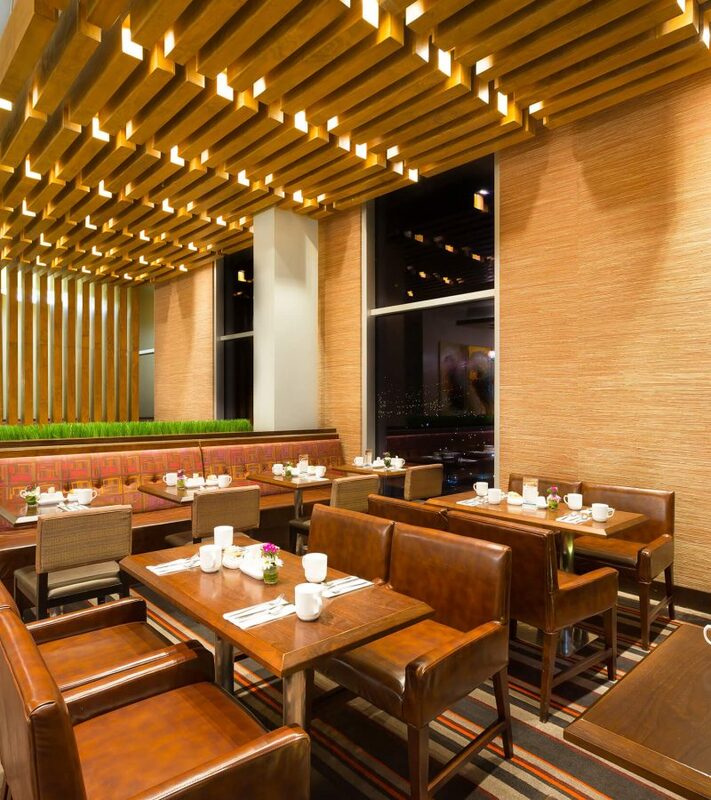 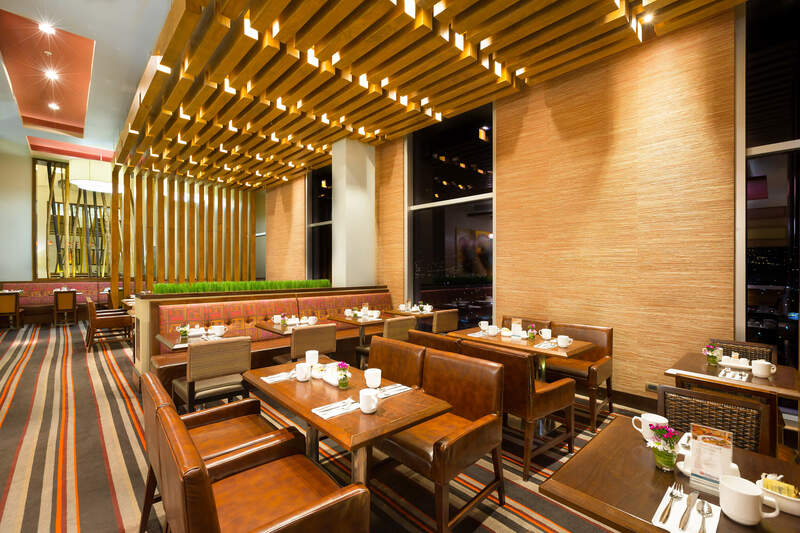 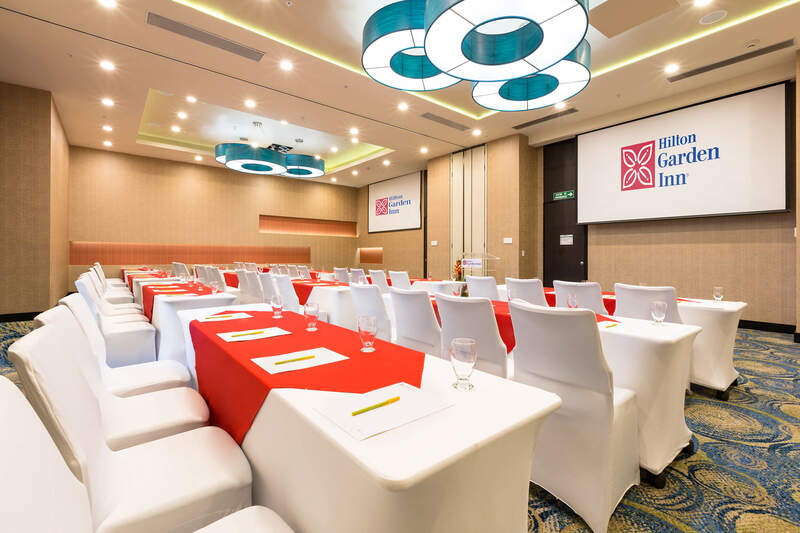 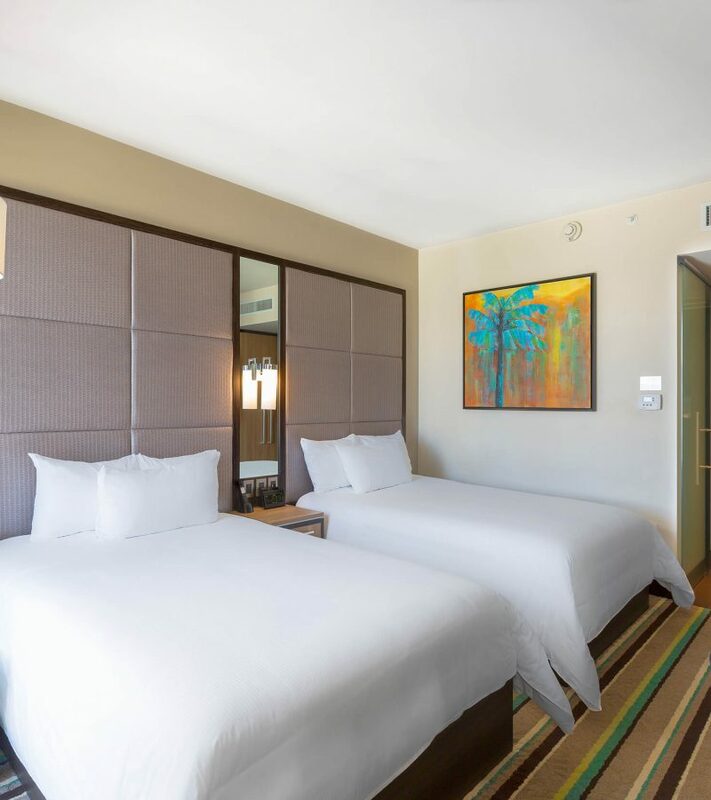 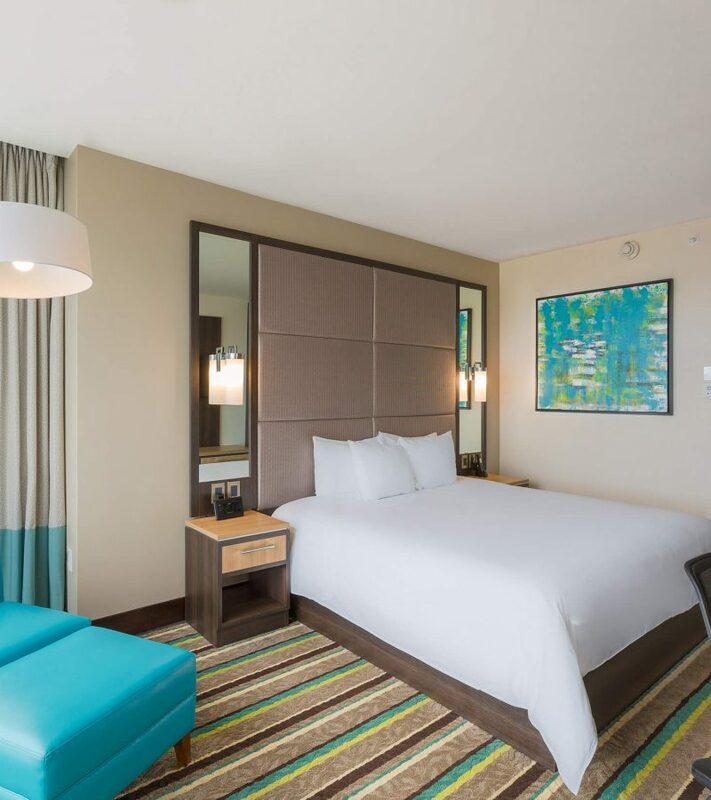 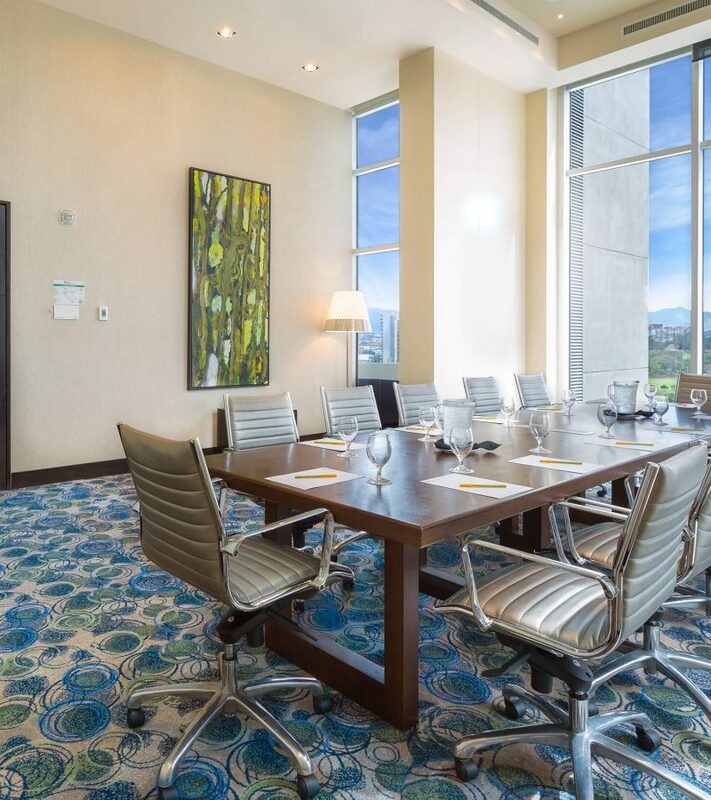 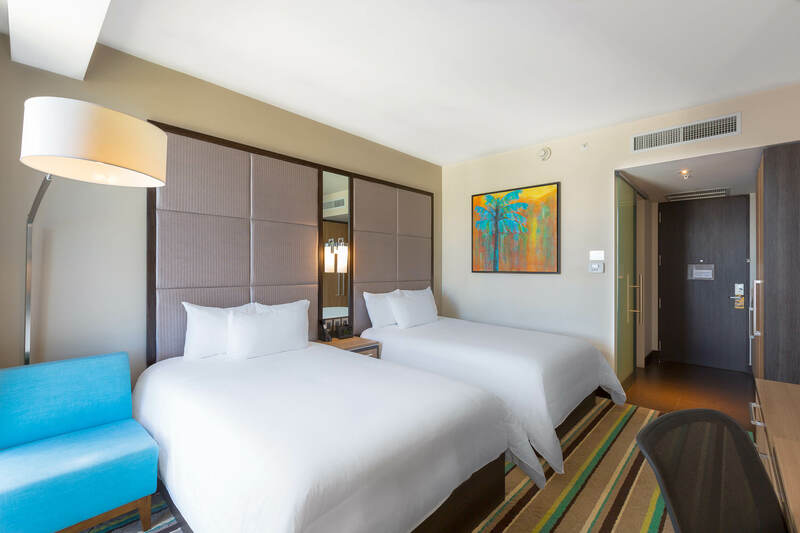 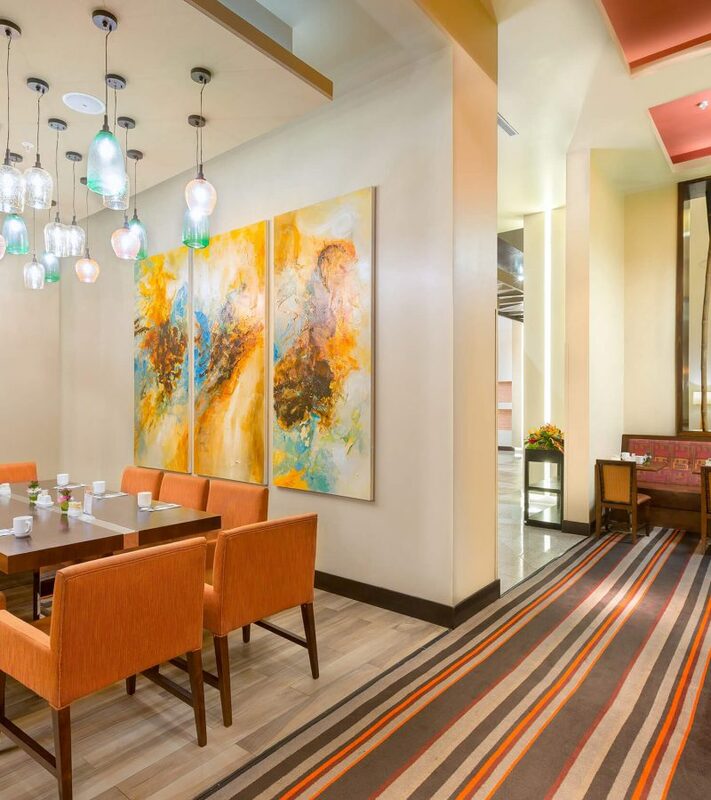 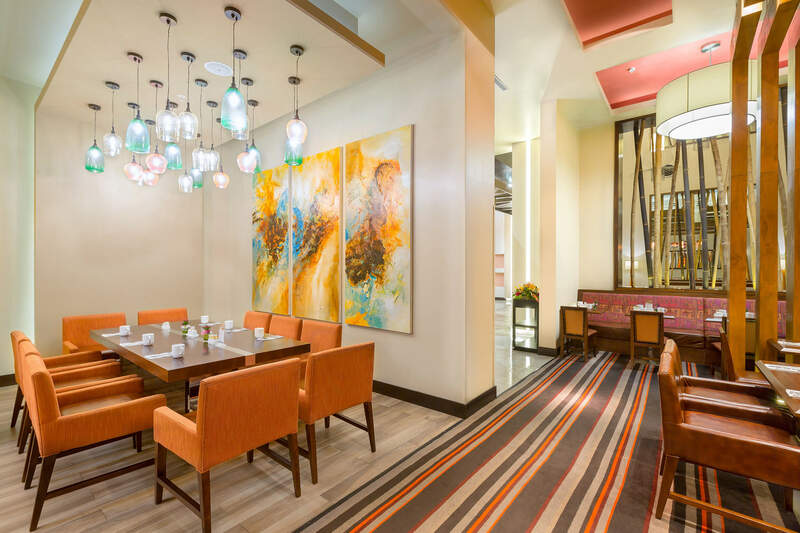 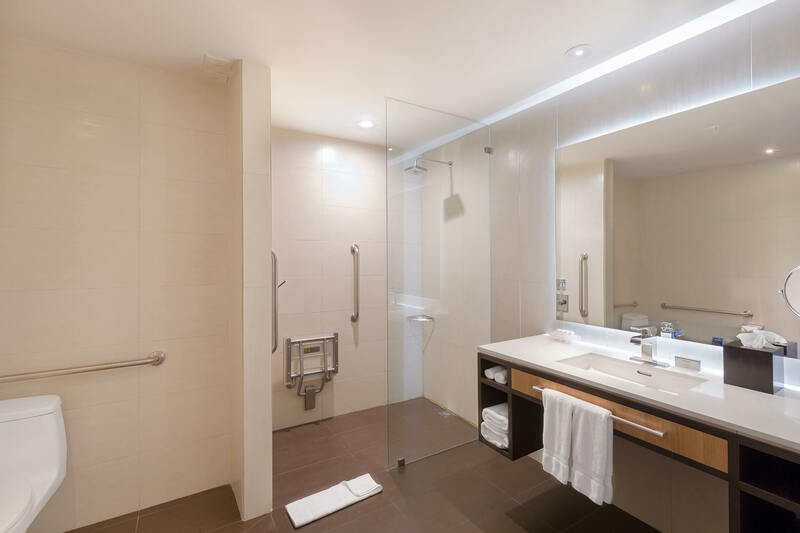 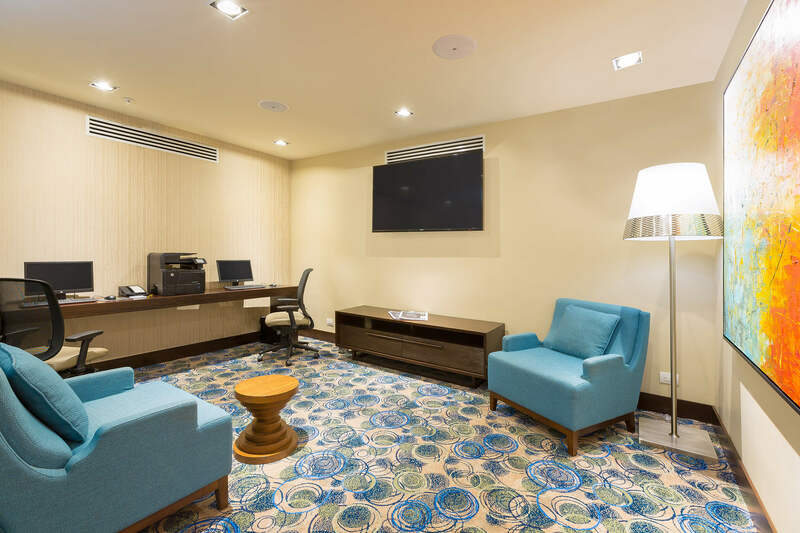 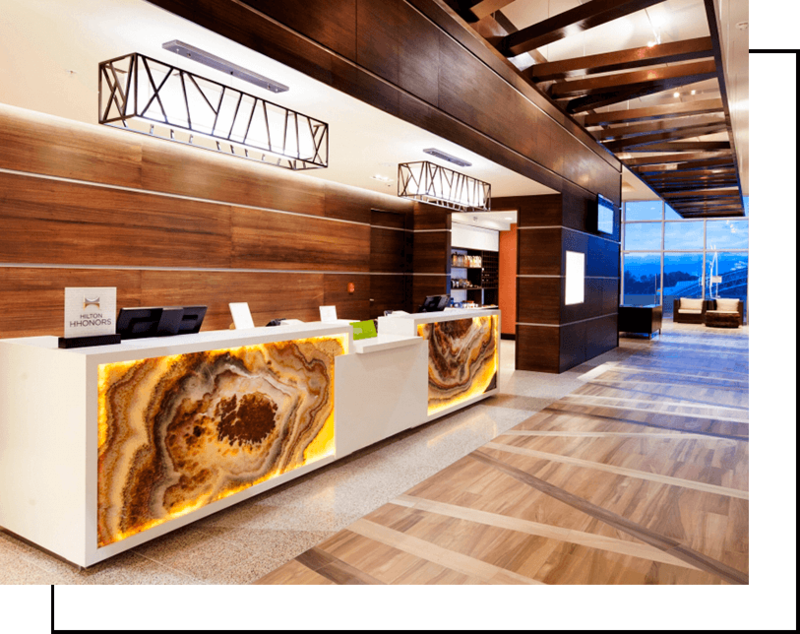 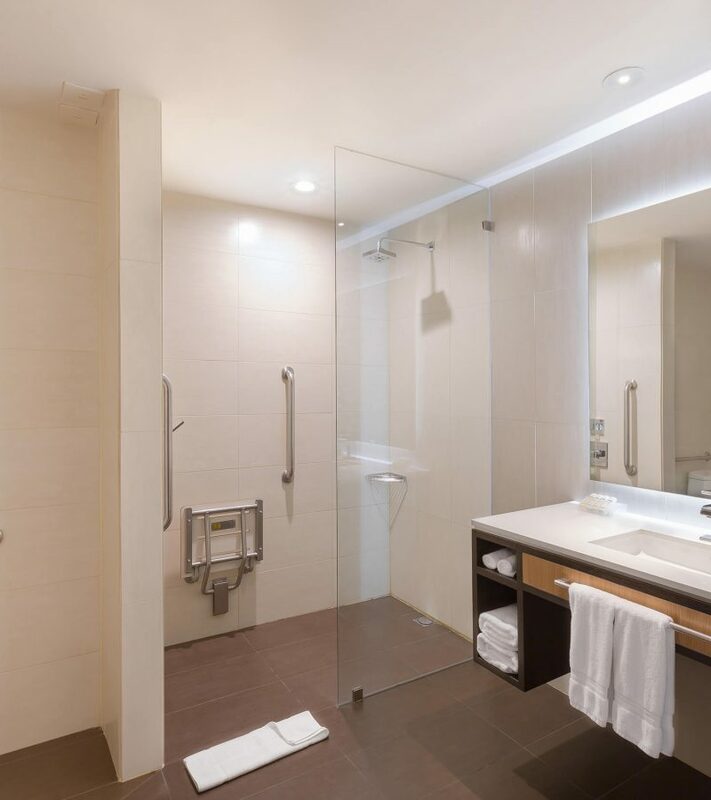 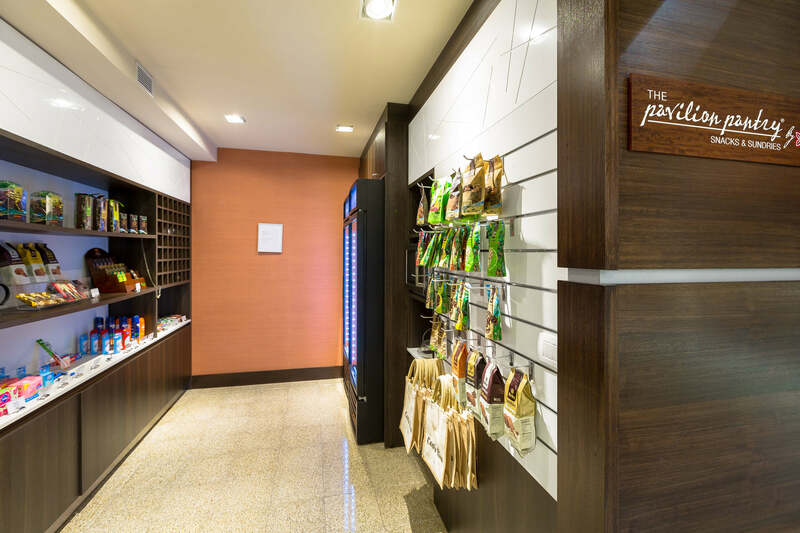 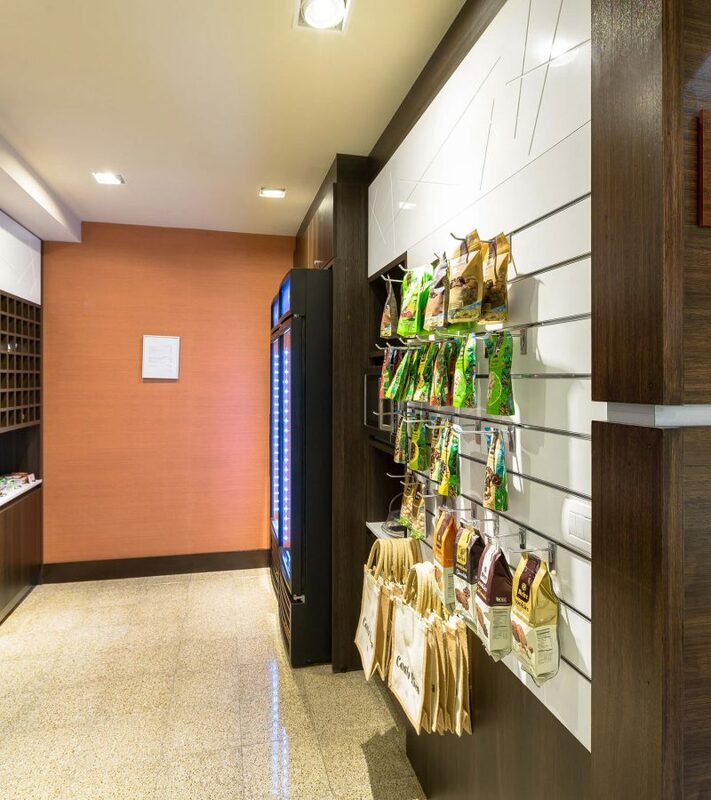 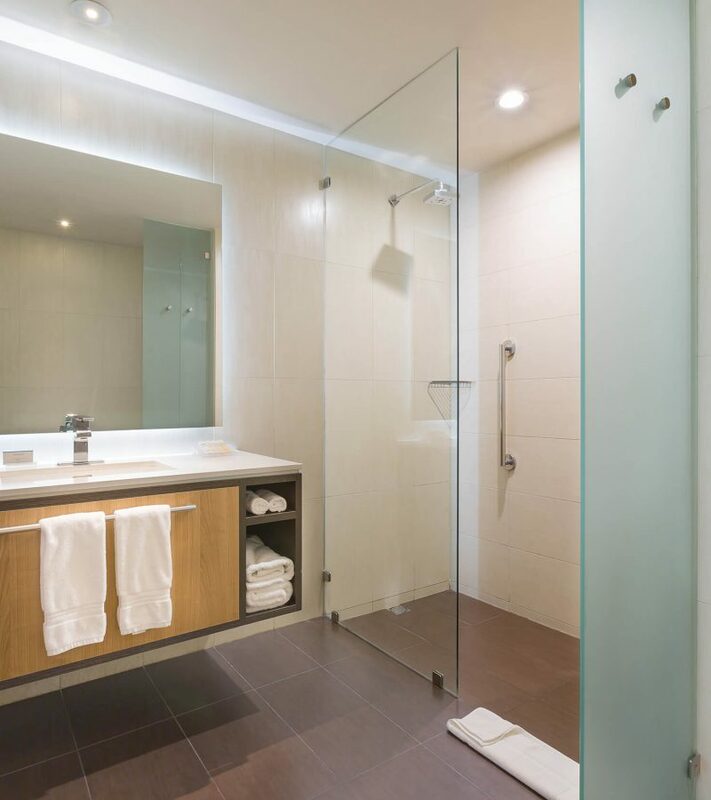 Juan Santamaria International Airport is only 20 minutes away, and this San Jose hotel offers great access to must-see tourist attractions.Ideal for corporate, social and diplomatic gatherings for up to 120 people, our hotel has a complimentary business center and four meeting rooms. 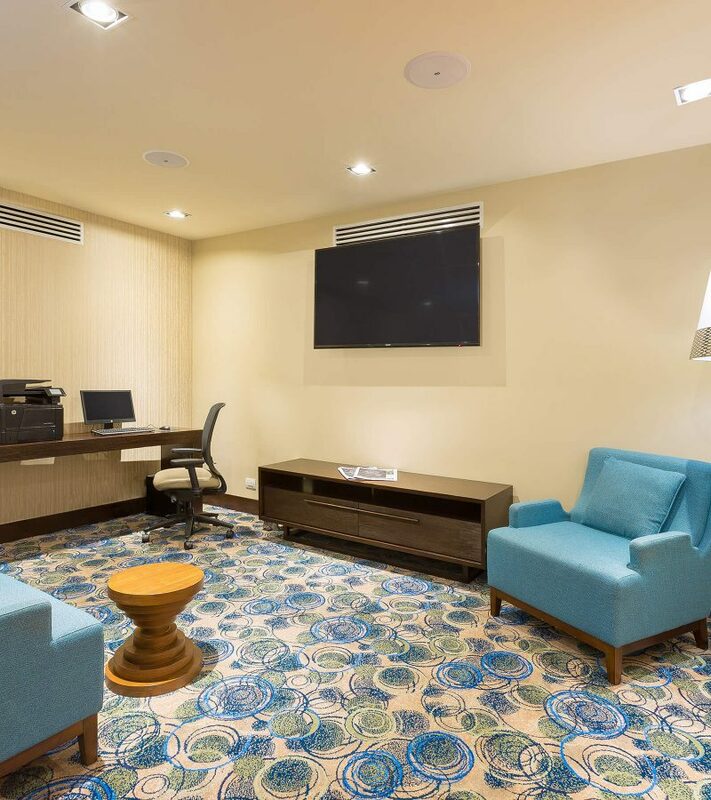 Valet parking, modern A/V technology and our dedicated staff will ensure your event is a success. 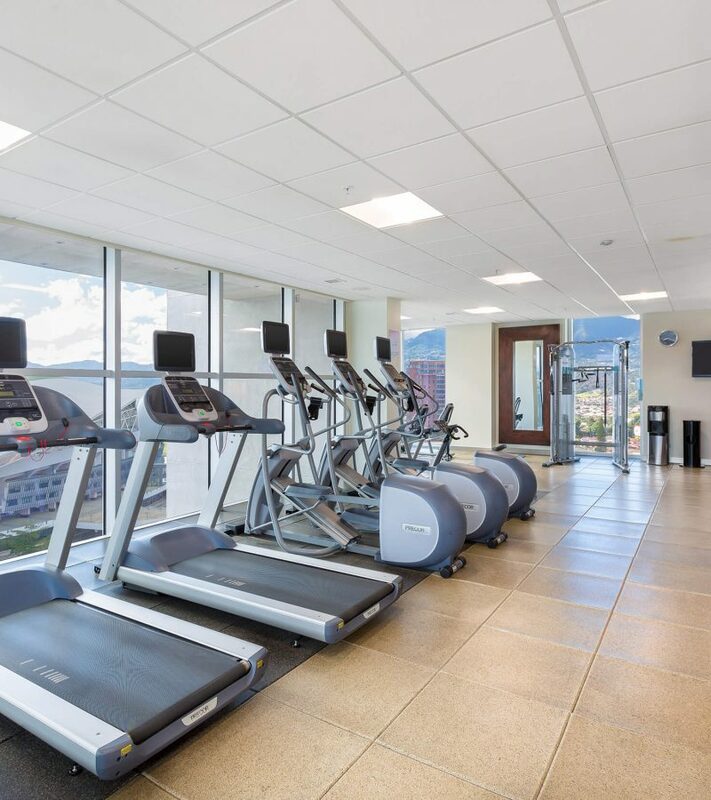 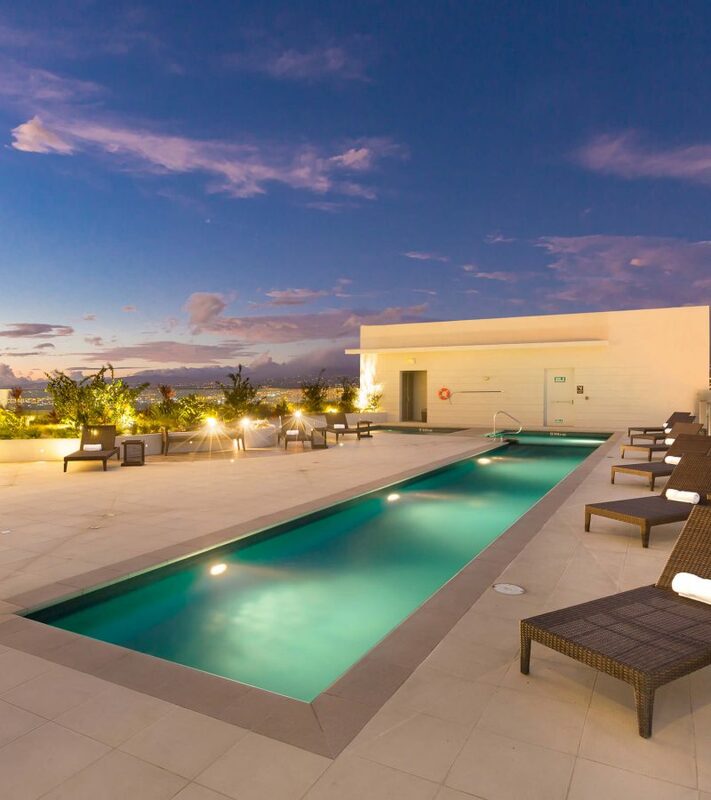 Swim in the sparkling outdoor pool or energize in the fitness center.